There are a multitude of reasons to take a walking trip in Japan. The scenery, the people and the food are all exceptional, however, the most unexpected joy for us was discovering the unique and comfortable accommodation along the trails. I’m Nicola, Destination Specialist for Japan here at Macs Adventure and I’ve just returned from an amazing two week trip to Japan. 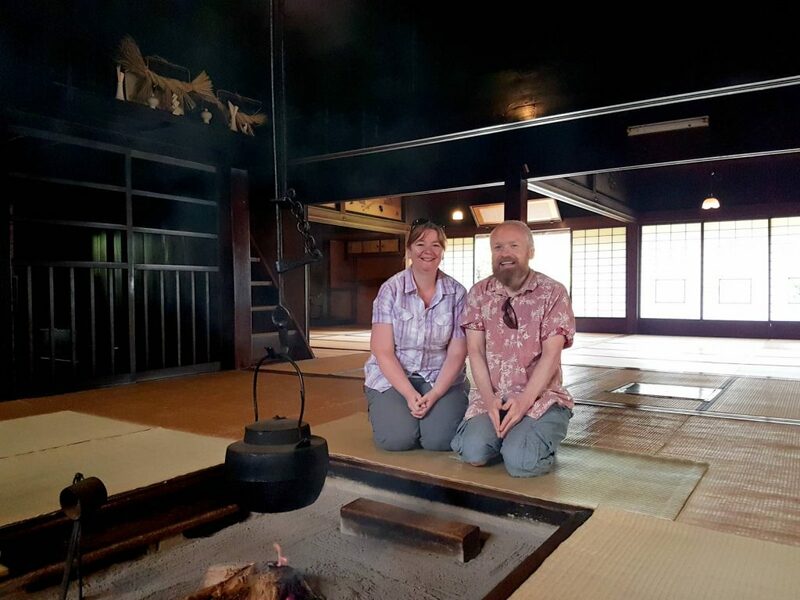 I was lucky to sample some walking on all three trips we feature (Kumano Kodo, Nakasendo Trail & Shikoku Pilgrimage) and along with this stayed in traditional lodgings each evening. Depending on which trip you choose, there are three different types of lodgings you may be staying in. A Ryokan, Minshuku or a Temple Lodging. All three are similar to each other with some small differences. 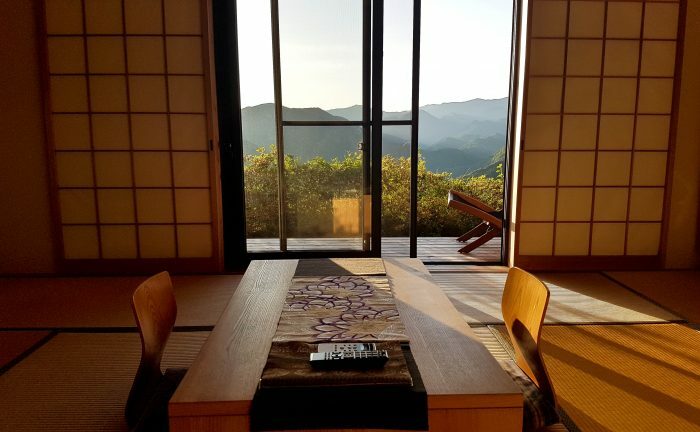 If you decide to stay in Mount Koya or are walking on Shikoku Island, there is a very good chance that you will stay in a Temple Lodging in a fully functioning Buddhist monastery. You will be looked after by monks and in some accommodations, have the opportunity to take part in morning or evening prayers. 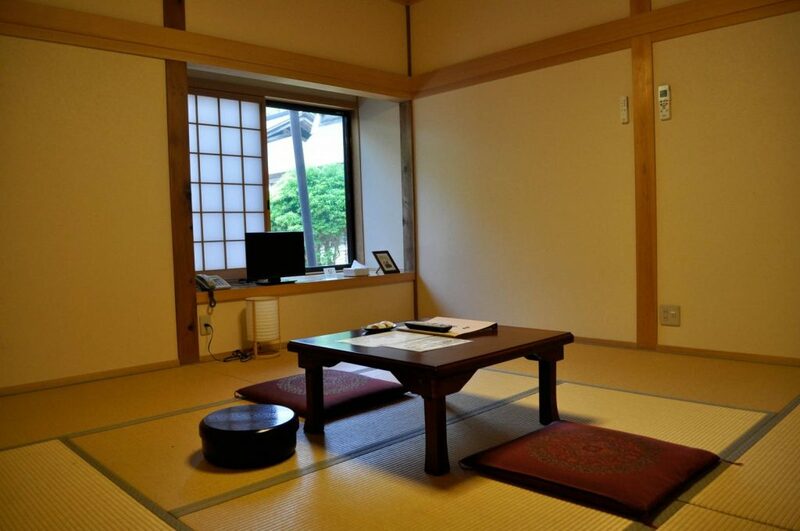 These tend to be simple but comfortable accommodation and the rooms are in the traditional tatami mat style. Dinner tends to be served in your rooms and the monks will lay out your futons in the evening. There will be two Onsens (large communal baths) that are separated by gender and shared bathrooms. Most will have a curfew of 9 pm. These can be set in either modern or older buildings (I stayed in a Ryokan in a city) and offer a few extras compared to the temple lodgings. Some may be en-suite and have a small seating area. You might even find a TV in your room. The rooms will still be Tatami Mat rooms and you host may lay out your futon in the evening. Like the temple lodgings, there will be two Onsens (separated by gender) for bathing. You tend to find Minshuku’s are set in older buildings (I stayed in a beautiful one in Tsumago) and are family run. Rooms are a little bit simpler but still as wonderful as the Ryokans. Again the rooms are Tatami Mat and you will need to lay out your own futon in the evening (a very easy process). Bathrooms tend to be shared and there will be two Onsens (separated by gender) for bathing. Regardless of which type of accommodation you stay in, you are guaranteed to experience amazing personal service, an authentic experience and delicious food! Your hosts will go out of their way to prepare a banquet for you each evening, giving you the chance to sample local specialities. You will never be left hungry! 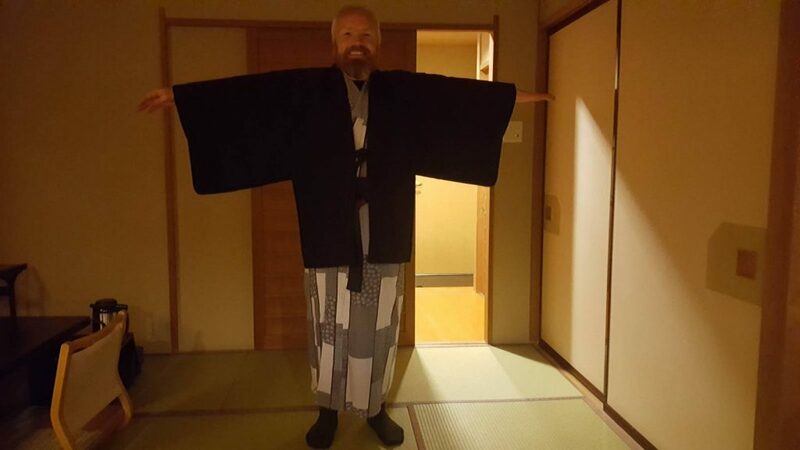 Each accommodation will also provide you with a Yukata (a Japanese style robe). These are incredibly comfortable and the perfect thing to wear after bathing. There are a couple things to keep in mind when staying at any of these accommodations. No shoes – You will be asked to remove your shoes before entering the accommodation and will be given a pair of slippers to wear. You will wear these slippers when in the accommodation but you will need to remove them before walking on any floor with a Tatami mat. When you go to the toilet, you will also find a separate pair of slippers to wear. 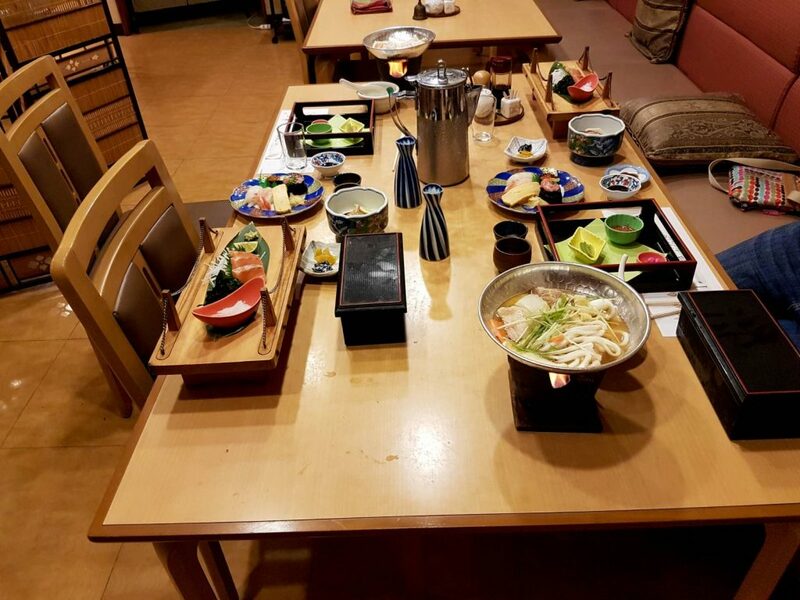 This is a very communal affair in Japan but can seem quite daunting to the first time visitor. Onsens are normally large baths that have a constant flow of warm water running through them and after a long days hike are amazing! You do have to follow a few rules though. Firstly, you need to shower/wash before entering the bath. Next to the baths, you’ll find small stools, basin and possibly a shower head. Once you have washed and rinsed all the soap off, you are now able to step into the bath and relax. You will have a very small “modesty” towel but this doesn’t go into the bath with you. Most people will fold this up and sit on their head. You will be in a bath with complete strangers but please don’t let this put you off. Sharing an Onsen is an ancient tradition and an incredible experience. Travelling to rural Japan has been one of the best and most memorable trips I’ve ever been on and the accommodations played a huge part of this. You should go! !